Thursday began with the usual 7am alarm, got all three kids out the house to school and college then the mass pack commenced. Unlike me I was completely unorganised and had far too much to do, somehow by throwing it all in and hoping for the best I managed to be good to go by the time I needed to go to work for my last shift before 10 days of fun. We left Chandlers Ford at 21:15 and headed up the M3 straight into slow moving traffic due to roadworks, we weren’t particularly worried as our actual booked tunnel crossing was not till 1:20 but we had hoped to get there early and as before go on an earlier crossing. We were not so lucky! Although we got to Folkestone at just gone 23:00 there were no early crossing so we would sit and wait. We got called to the loading lanes at around 12:30 where we then just sat. 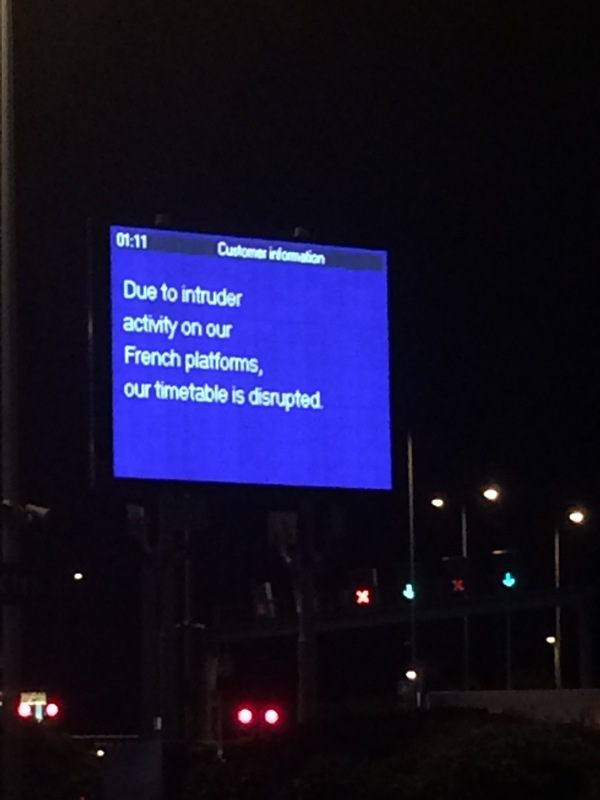 The signs suddenly made an announcement that due to intruders on the French platform the service was temporarily suspended. There we sat until gone 2:00. We finally crossed at about 2:30 knowing we would still have to drive the otherside at least to get far enough away from imigrants. Drive we did till 5:00 when our beds were really calling us. 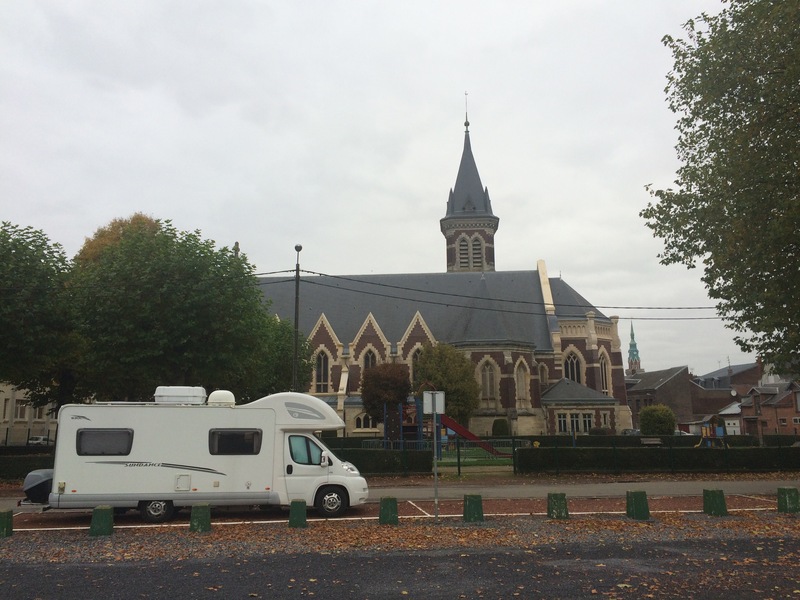 After being awake for 22 hours we pulled into a very French town just off the motorway and luckily for us for a change one of the four spaces in the Aire was empty, We must have all fallen asleep within minutes!